Hurricane Florence is set to make landfall in the Carolinas either late today or early tomorrow. Even though the storm has been downgraded to a Category 2 storm, it is still set to create a lot of property damage in the affected areas. Whether it’s through flooding or wind damage, residents in the path of the hurricane could be facing a long road back to restoring their homes to habitable conditions. Unfortunately, there will also a number of con artists looking to take advantage of people who have been negatively impacted by the tragedy. For people living in the storm-damaged areas, people claiming to be contractors will be coming out of the woodwork, so to speak, trying to pressure you into having them fix your home. While you may want to have your home back to normal as quick as possible, never let someone pressure you into making a deal. 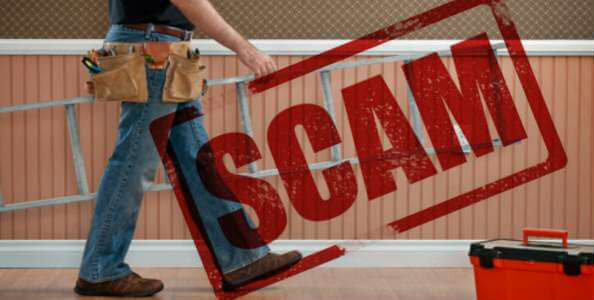 Always do your research and make sure that any contractor has the proper license. Also never pay cash, never pay up front, and be wary of anyone who just shows up at your door offering to make repairs. For people living outside of the hurricane zone but want to help the victims of the storm, be aware of who you’re donating to. Charity scams tend to be the other big scam that happens alongside a natural disaster like this. Make sure you know exactly who you’re donating to. Don’t ever make donations in gift cards or by wiring money as these are the most used methods by scammers to take your money. Also be wary of crowdfunding sites that give vague generalities about where the money is going to. If the site claims to be going to the ‘victims of’ whatever disaster happened most recently. It could just be a scammer trying to make some money off of tragedy.